Happy St. David’s Day! For those that are unaware, St. David is the patron saint of Wales, which is where my post takes us this week. 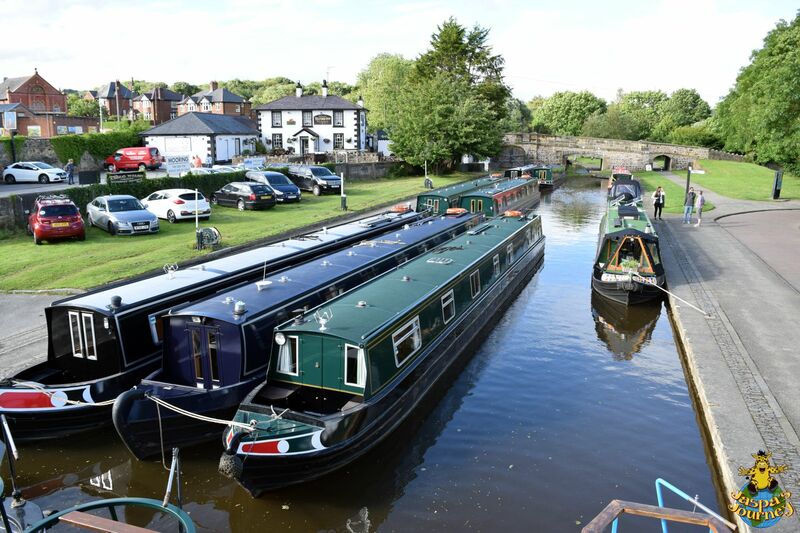 Before the days of motorways and interstates, or even railways, canals were the transportation backbone of many countries. 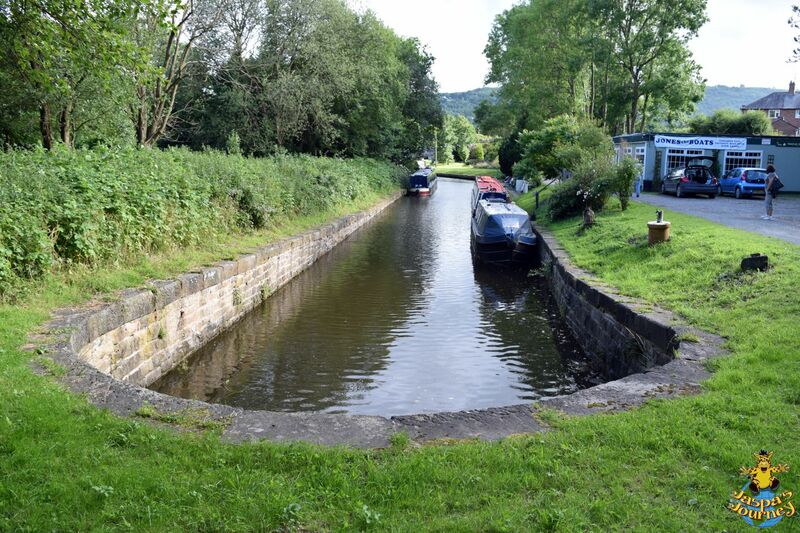 In the United Kingdom, the canal network was nothing less than a marvel of the Industrial Revolution. 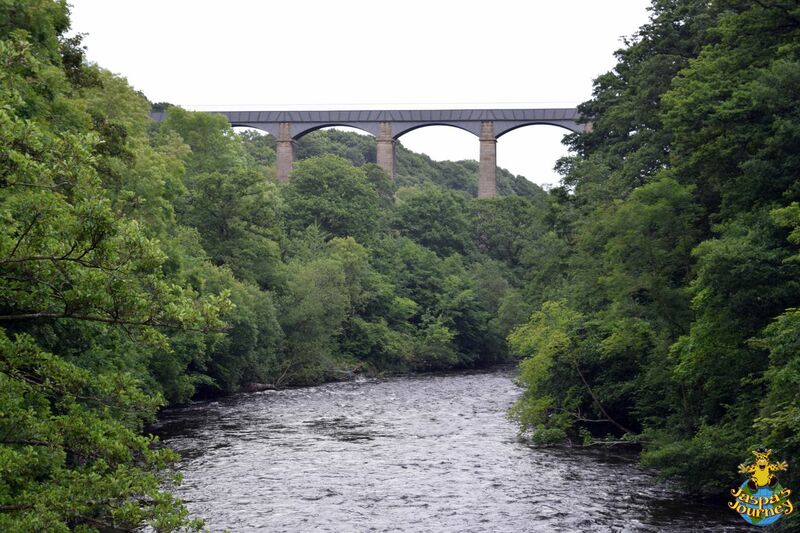 Some of the most impressive sights of this time were the aqueducts used to carry canals across valleys. 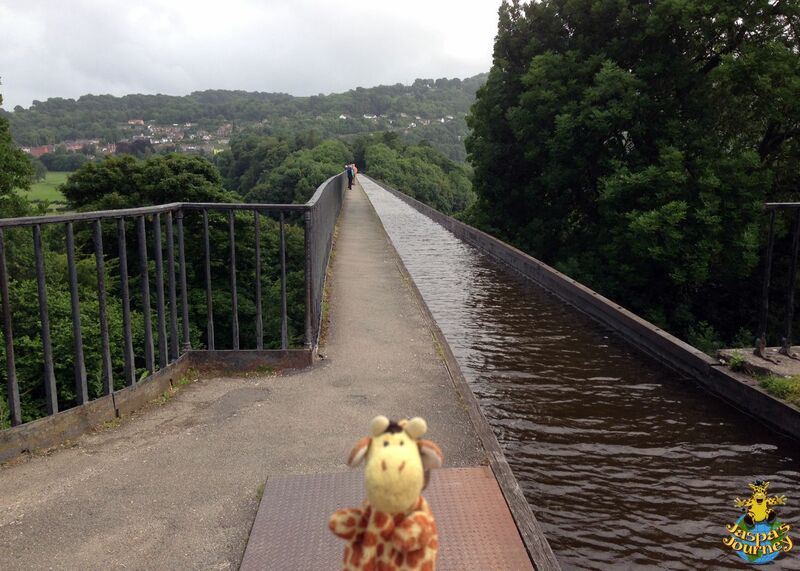 And perhaps the most striking of all still stands to this day in Pontcysyllte, Wales. Even more amazing, it’s still in use, although these days by holiday makers instead of industry. 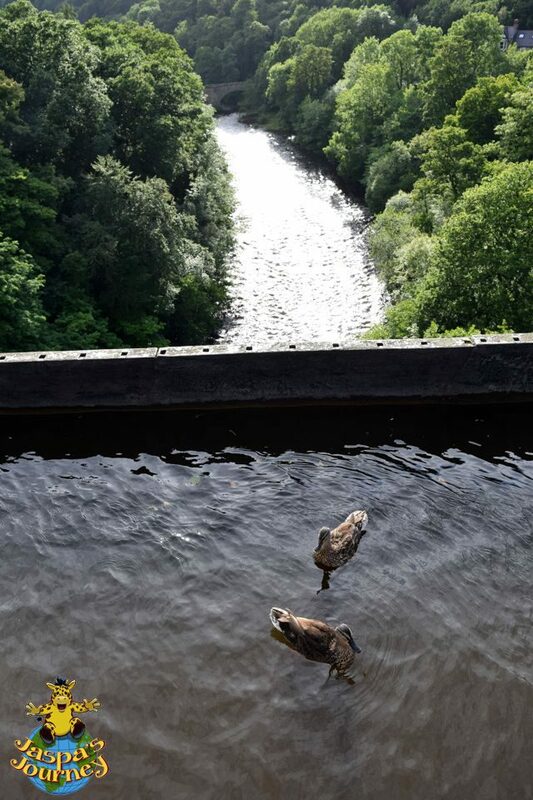 Soaring 126 feet above the River Dee on 18 stone pillars, Pontcysyllte (which aptly means the bridge that connects in Welsh) is the highest navigable aqueduct ever built. 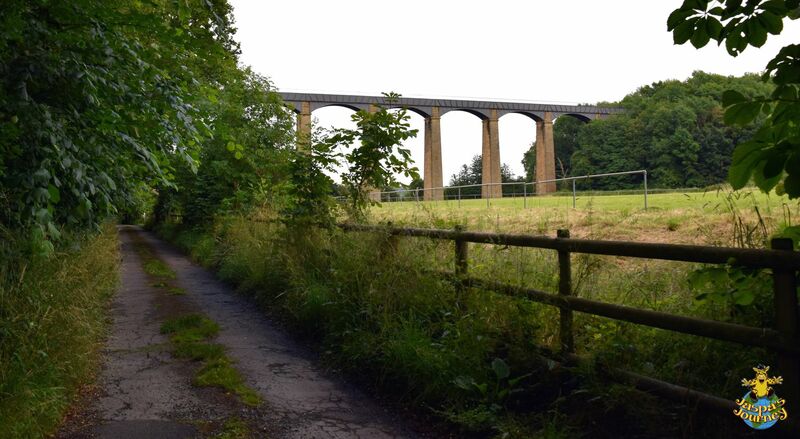 It was constructed over 200 years ago, by Thomas Telford and William Jessop, two engineering giants of their day. Come on! You’d hesitate, too! 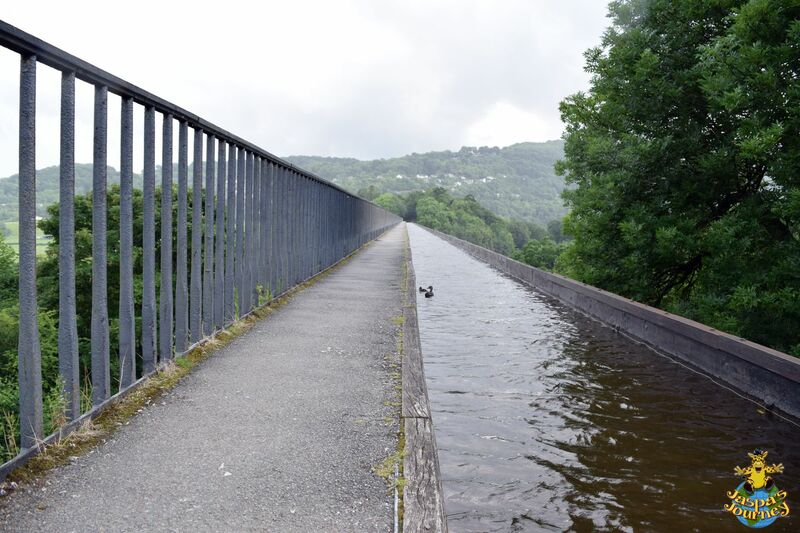 The Llangollen Canal crosses Pontcysyllte Aqueduct in a cast iron trough, one of the earliest aqueducts to use this method. 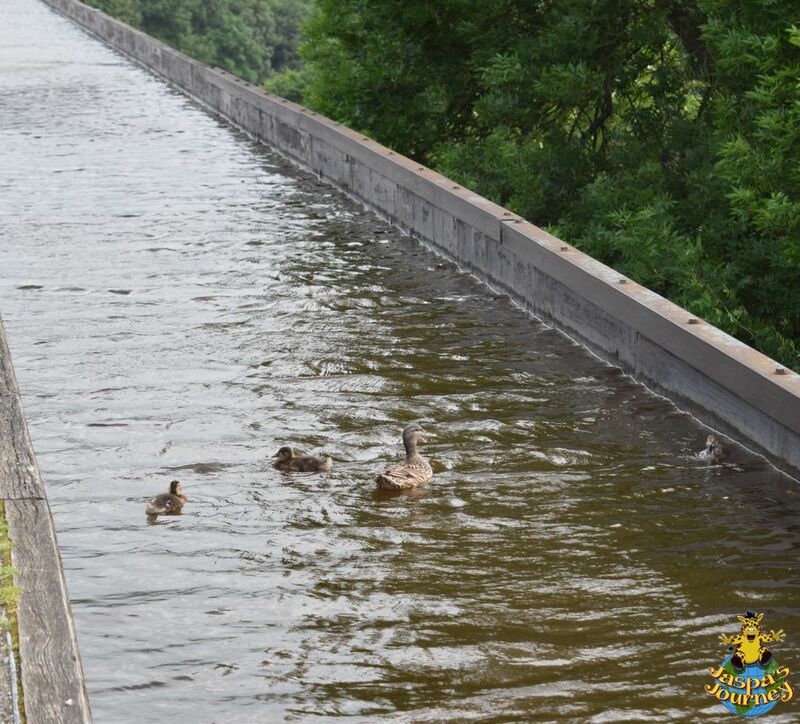 The trough is 1007 feet long, 11 feet 10 inches wide, and 5 feet 3 inches deep. 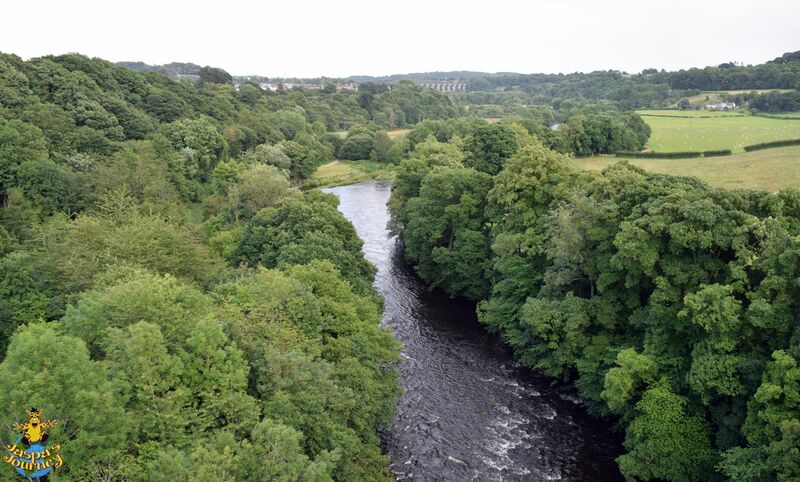 Over 50 million litres of water (more than 13 million US gallons) flow through it each day. Beside the trough runs a pathway, which is exposed enough to make most people hesitate. 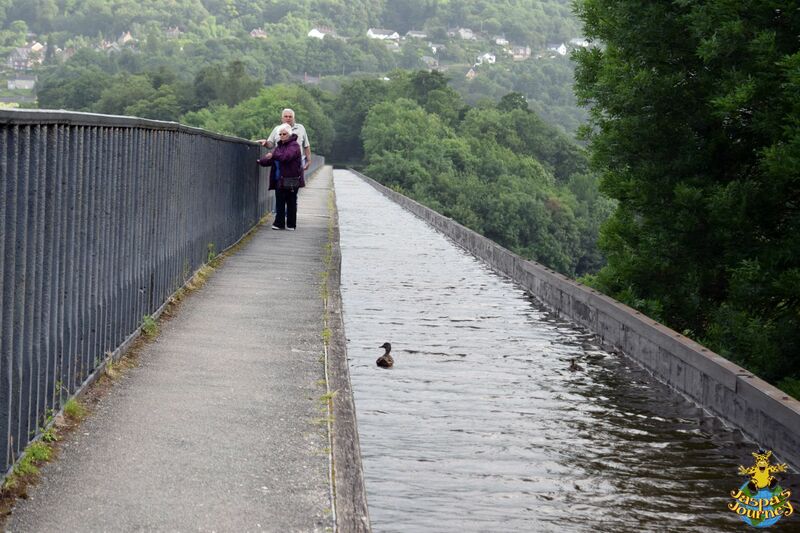 Also note, there’s no railing on the trough side of the bridge! And the views from up here are spectacular! 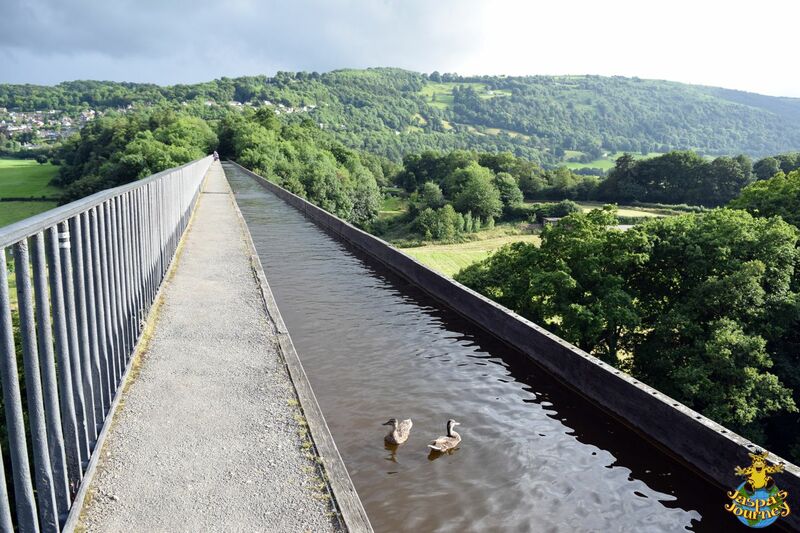 In 2009, the Pontcysyllte Aqueduct and 11 miles of the Llangollen Canal, were given UNESCO World Heritage status. This post was inspired by this photo themes of The Road Taken and Hesitate from the Daily Post, Exposure from Jennifer’s One Word Photo Challenge, and Looking Up At Things from Cee’s Fun Foto Challenge, not to mention Cee’s Which Way Challenge. 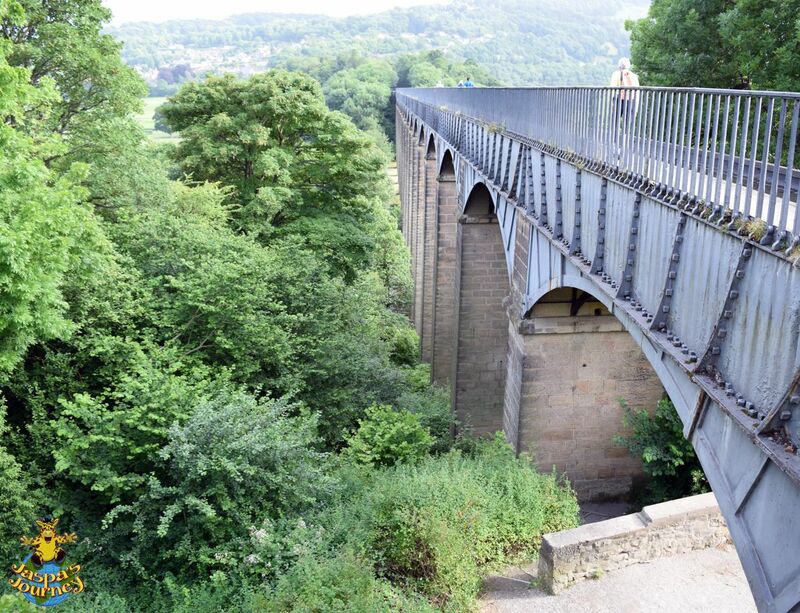 This entry was posted in Adventure, History, Travel, UNESCO World Heritage Site, United Kingdom and tagged canal, Cee's Fun Foto Challenge: Looking Up At Things, Cee's Which Way Photo Challenge, Daily Prompt: Hesitate, One Word Photo Challenge: Exposure, Pontcysyllte Aqueduct, Wales, Weekly Photo Challenge: The Road Taken. Bookmark the permalink. This post certainly does work for a lot of challenges. Isn’t fun when you can do that. 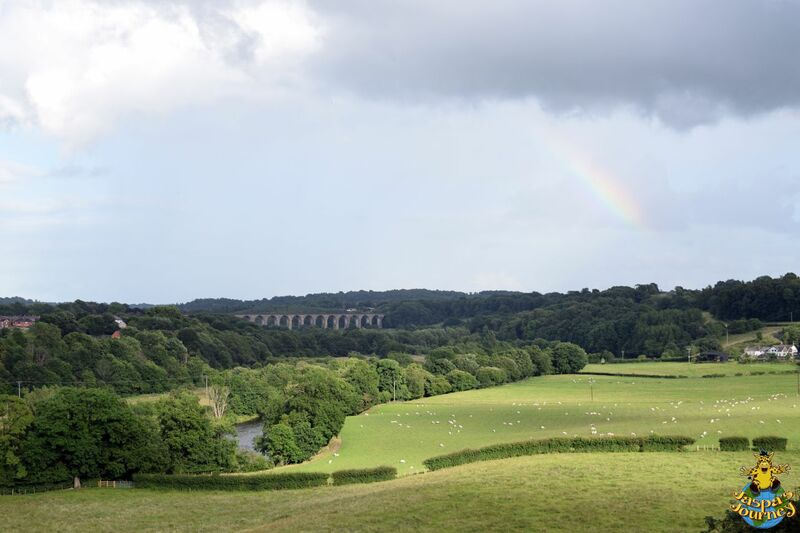 I like the little rainbow in the sky photo. Terrific post. Thanks very much, Cee. I really do enjoy coming up with a subject I can use for multiple challenges. wow, how cool is it that you could get up there, walk, take photos. 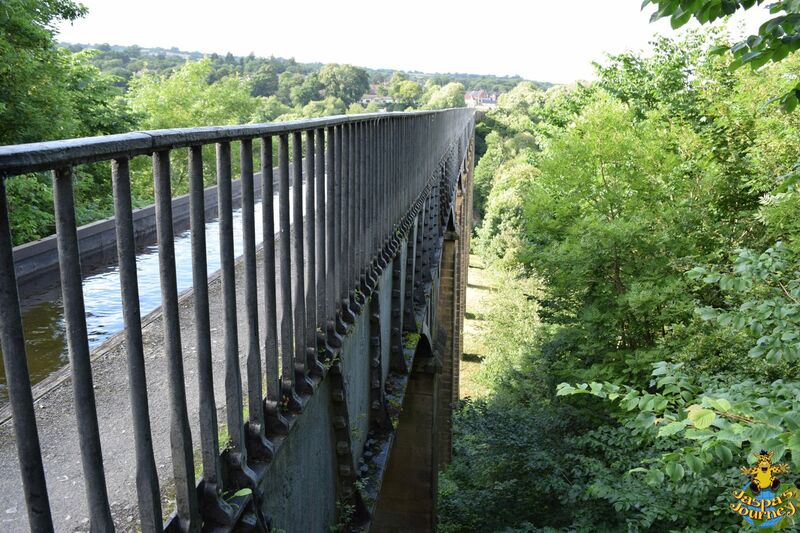 I never imagined one could walk on aqueduct. But would you be brave enough to take the boat with no railing, Klara? My pleasure, Lakshmi. I’m glad you enjoyed it! 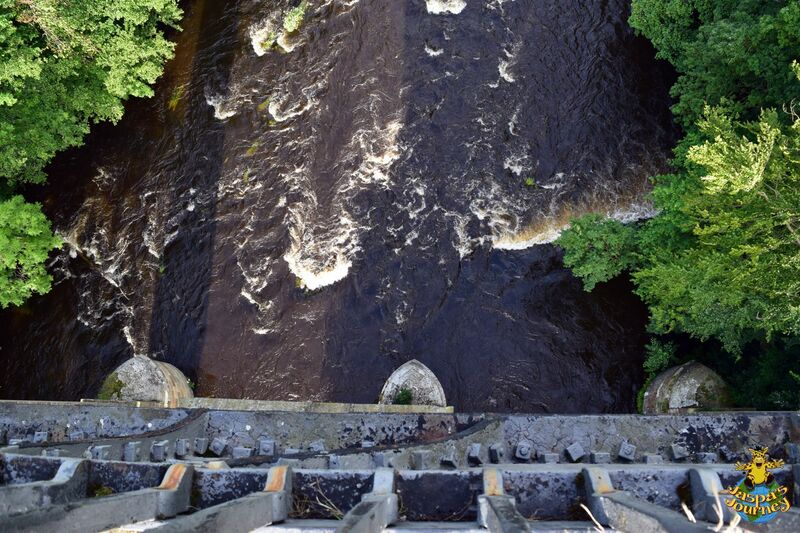 Not sure I’d be game to walk over – I’m not a fan of heights! Rich’s Mum didn’t make it all the way across! I would walk that bridge. What a view and the ducks are precious. 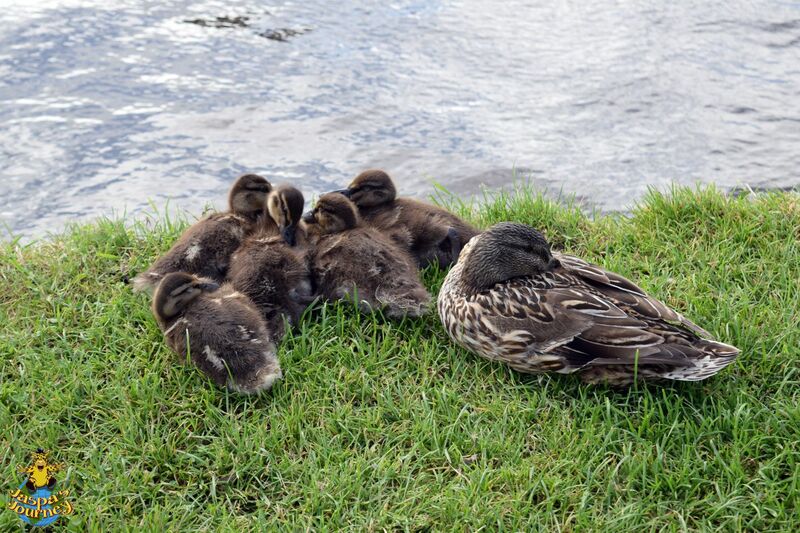 Did you notice some were ducklings, Cee? 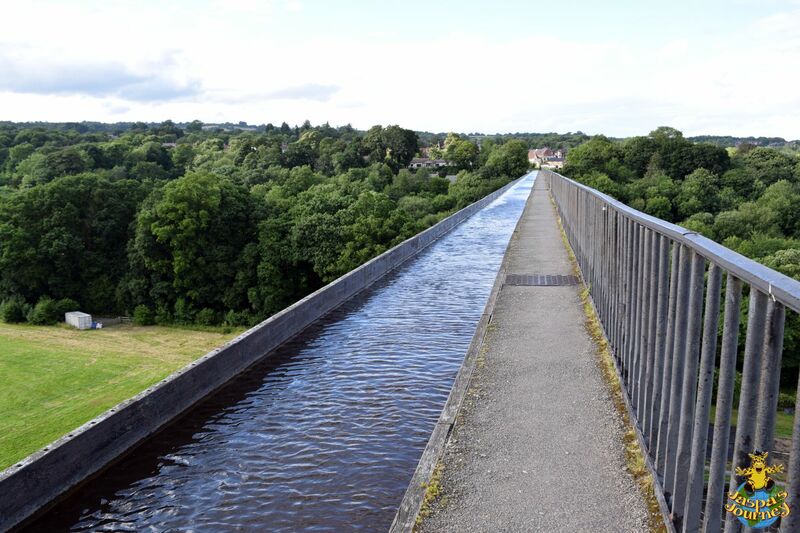 I keep seeing photos of this aqueduct, it looks beautiful. 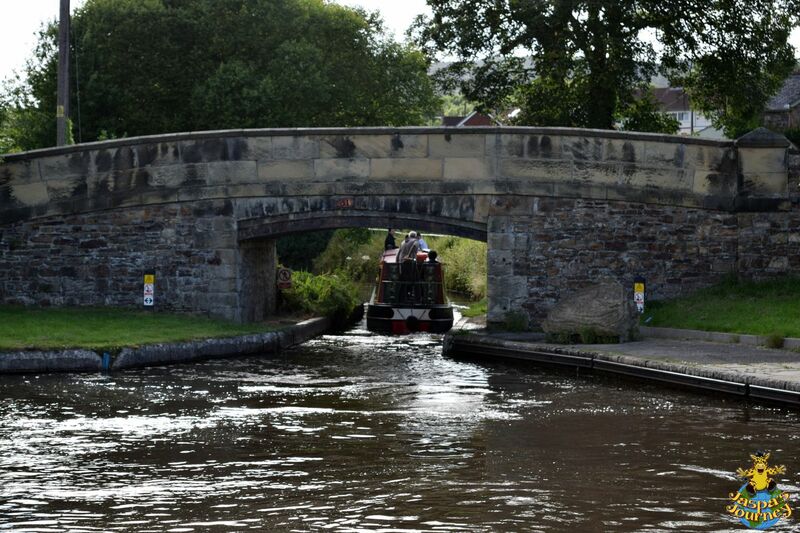 I love canals so shall make it my mission to visit there this summer, it must only be a couple of hours away from me and yet I have never been there. Rich grew up (until the age of 11) less than 10 miles away, yet this was the first time he’d walked across it, so it’s never too late! Now I want to ride a narrowboat across! Definitely not one for the faint-hearted! A terrific exploration of this week’s theme, and some dramatic shots.